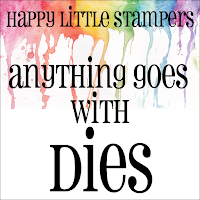 Hey all, it's the 9th of the month, and time for our Anything goes with dies challenge at HLS. For my card I had used the HLS whimsical set sentiment. The flowers are created from a water color background. 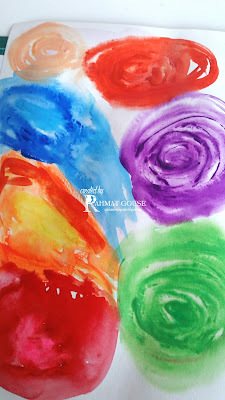 I was experimenting with some water color backgrounds, I simply painted some bright colors, and then stamped the ME- freestlye floral stamp and fussy cut ti to add. The circle frame is die cut using 2 nestled dies from WeRMemomy keepers. 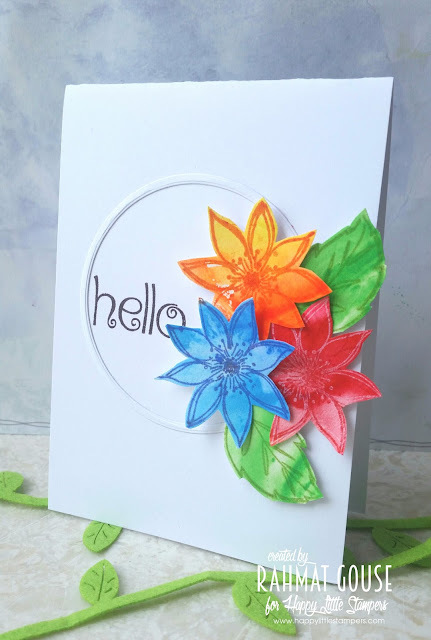 It is a pretty simple card with a die and some fussy cut blooms in bold colors, I hope you like it. The water colored panel, I will be using the rest in some cards to come in near future. 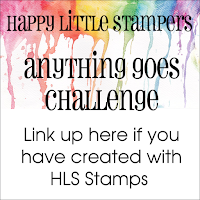 Do hop on to the Challenge blog to see what our DT has come up with. In India, flowers are a favorite with men, and we make cards with flowers for them. Flowers are used for praying, and also men buy flowers for their wives and daughters to wear in their hair, so flowers are totally associated with men, My father loves flowers by all means, and I made thins card thinking of him! Used a circle in place of an oval. Your watercolor blooms are gorgeous! So pretty and bright! Wow! Rahmat, this is gorgoeus! Love your coloring work on the flowers. What a lovely, happy color combo! Beautiful card and such bright, cheerful colors! Thanks so much for joining us at Freshly Made Sketches. So bright, so colorful, and a very unusual choice for making flowers masculine but you know what? It works!! Great card and great take on our challenge. Thank you so much for joining at The Male Room!! I am already a follower so I can say I'm a regular! Take care and thanks again. Gorgeous entry for the Craft Stamper challenge this month; thanks for joining! Lovely card, nice bright colours. Thank you for joining in with us at The Male Room. So bright and pretty! Thanks for joining us at Little Tangles! This is really stunning! I love the bold bright colors you selected. 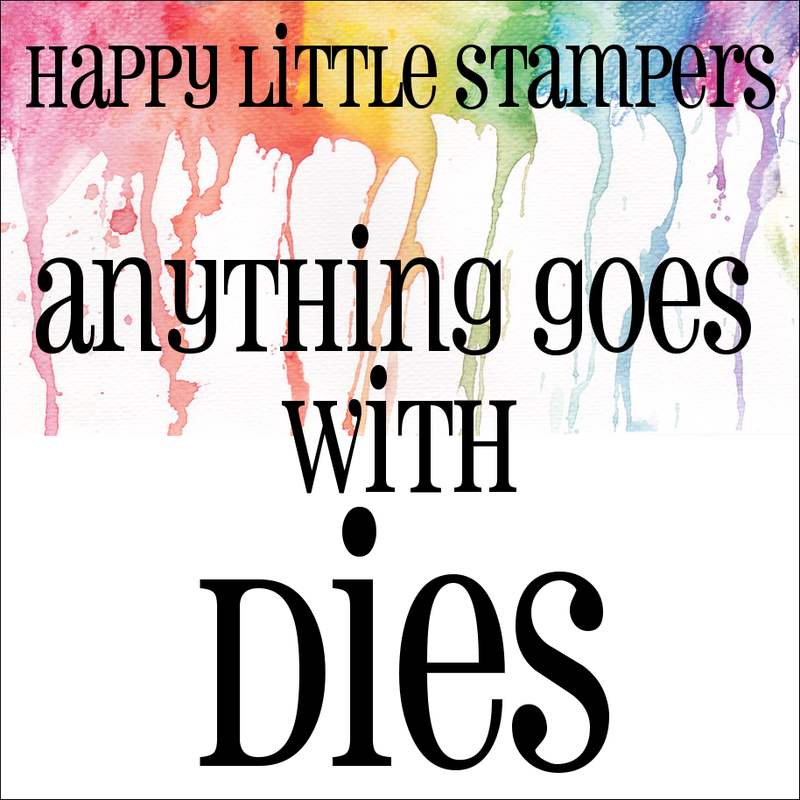 Love your idea with water colored panel and how you used this sentiment! So pretty!